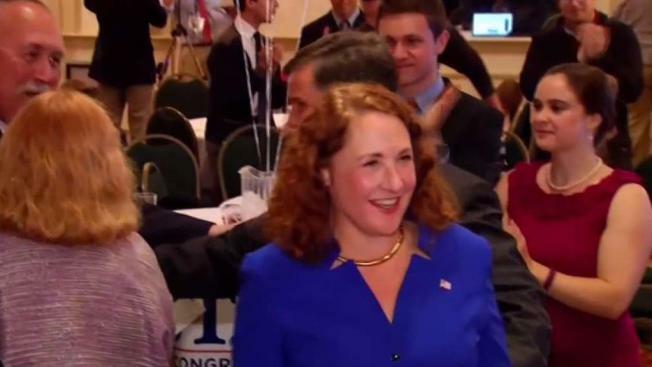 Congresswoman Elizabeth Esty is facing calls for her resignation from some members of her own party after admitting to keeping her chief of staff on after he threatened another staff member. The details of the events reported by The Washington Post and Hearst Connecticut media troubled some of Esty’s closest allies, like Senator Richard Blumenthal. “I’m deeply disappointed. I’m just learning the facts. I need to know more,” Blumenthal said. Esty, according to reports, was informed that in 2016, her then Chief of Staff Tony Baker threatened to kill his ex-girlfriend Anna Kain, who also worked in Esty’s office, through voicemail, after calling her more than 50 times. Some Connecticut Democrats have come down hard on Esty. State Senator Mae Flexer, who represents the 29th District, called Esty's behavior "completely unacceptable," and called on her to resign. "We must expect more from our elected officials. We must set the example. No employer should allow this conduct. Her failure to do the right thing here hurt us all, especially as more and more women are courageously coming forward. It's time for Rep. Etsy to step aside," Flexer wrote in an email to NBC Connecticut. Representatives Kelly Juleson-Scopino (D-Manchester) and Diana Urban (D-Stonington) have also called for her resignation. Senate President Pro Tempore Martin M. Looney also expressed concerns about the situation. “Congresswoman Esty has long been a conscientious leader in the fight against harassment and abuse in the workplace. However, I agree with Senator Flexer that if the facts of this matter involving former staff of the congresswoman’s office are as they are alleged to be in recent news articles then Congresswoman Esty should do the right thing and resign," Looney wrote in a statement. NBC Connecticut’s attempts to reach Tony Baker, and staffer Anna Kain were unsuccessful. In a Facebook post, Kain made the following statement. Connecticut Republicans said Esty’s part in a cover-up is why she should resign. “I don’t think when the people of the fifth congressional district through the Farmington River valley, would ever think that she would protect someone based on these reports who has behaved so egregiously,” said Connecticut GOP Chairman JR Romano. Esty does have allies saying she should remain on the job. The AFL-CIO in Connecticut came to her defense. “The Congresswoman gave a detailed explanation of the situation and apologized. 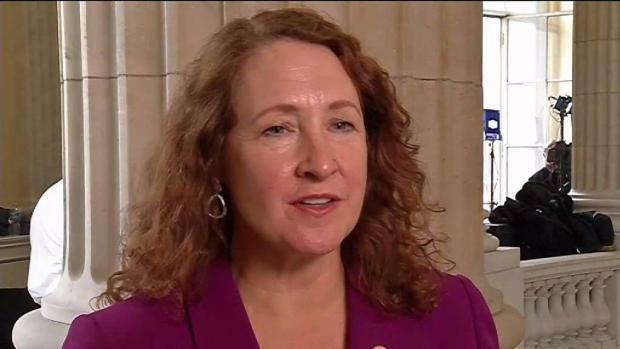 Congresswoman Esty has been and will continue to be a fierce advocate for working women and their families,” AFL-CIO officials said. There is political fallout to this, with Republicans seeing an opportunity to at least attempt to flip the seat against either a weakened Elizabeth Esty, or perhaps someone else. Multiple sources told NBC Connecticut that national Republicans could want to see either New Britain Mayor Erin Stewart, or Plainville State Representative William Petit enter the race. In a statement earlier this week, Congresswoman Esty did take responsibility for not seeing what was going on in her office, and for taking the advice of the House Ethics Office which she said looks out for the institution rather than staff. On Saturday, she said she would not resign and would continue her work. "For those who have asked, I want to be clear that I am not resigning, that I have important work to do in Congress including building on the lessons of this horrible series of events. My agenda going forward will include relentlessly pursuing specific actions to foster a better working environment on Capitol Hill, building on the work that has already been done to ensure safe environments for staff, looking to the best practices that have been developed in the private sector, and taking the next steps to further strengthen workplace protections and provide employees with a safe platform to raise concerns," Esty wrote in a statement.